We are honored to be welcoming Ryan Matz, a snow ranger and rescuer on Mt. Washington, to give a talk on how to get the most out of your day in the White Mountains hiking, climbing, and/or skiing in the winter – using avalanche awareness to come home alive. Over $1000 in Arc’teryx gear will be given away in a free raffle at the event. Drinks will be provided to those with a valid ID and tips will go to support the White Mountain Avalanche Education Foundation and Friends of Tuckerman Ravine. Register now on Eventbrite. 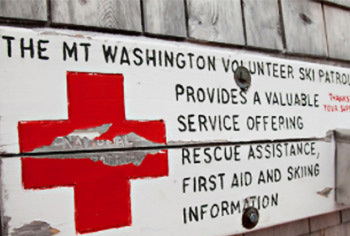 The Mount Washington Avalanche Center, where Ryan works, is the oldest avalanche forecasting program in the country and is run by the U.S. Forest Service – White Mountain National Forest. 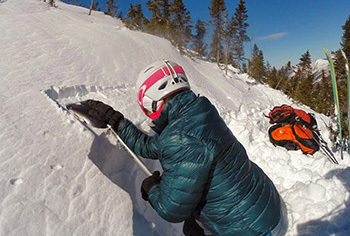 The snow rangers who work there are seasoned guides, rescue professionals, and snow scientists who know all of the best hiking, skiing, and climbing locations in the White Mountains. They also have experience rescuing and recovering injured parties from all over the region. Checking the MWAC website for conditions is every responsible adventurer’s first step in preparing for a day in the mountains. The forecasting structure just evolved this year and will be explained as a part of Ryan’s talk.